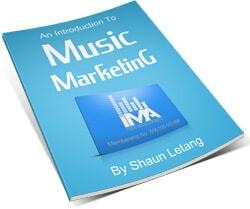 Today I’m going to show you what content marketing is, and how it can benefit you as a musician. If you’re struggling to get your music out there, this guide may help. Why Should Musicians Do Content Marketing? Content marketing is a term used to describe a form of marketing made popular by internet marketers. The idea is to raise awareness of what it is you’re promoting by giving away free content. In this case, you’re promoting yourself as a musician. This content can be in the form of whatever you want. Text posts on your website, media players playing your songs, videos on Youtube (or your chosen video platform), pictures on your website / Instagram and the like. This content should be produced and put out regularly, at least three times a week. That said, if you can put content out daily, this strategy will work even better. You want to be putting content out for your fans regularly, so they not only have a reason to keep coming back and finding out what you’re going to do next, but so you build up a stronger relationship with them and make them become more knowledgeable about you. A lot of musicians and companies like content marketing as it can be a lot cheaper than other kinds of promotions. Spending money to go on TV and radio can add up quickly, while content is usually a lot cheaper to produce. Furthermore, that content will generally stay around longer, and in some cases can be reused again in future. 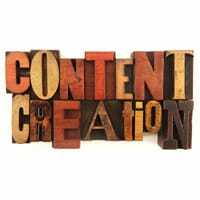 A final benefit of content marketing is the presence it gives you in search engines. The more you tend to fill up your site with good quality content, the higher search engines tend to rank you, and the more your content will get found by people searching for music. 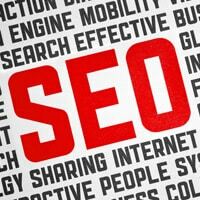 In other words, this is good for SEO (search engine optimization). More details on what that is and why it’s important can be found in the guide I just linked to. So now you know what content marketing is, let’s look at some ideas for content you can put on your site and other big sites. So here are 23 ideas you can use for content on your website, as well as promotional materials in general. I’ve split these ideas up into different sections, although some will cross over into others. You should try to alternate between the different kinds of content to keep things interesting for your fans. Videos of your studio sessions. ‘Day in the life’ videos. A posting of any official videos you do. A ‘net’ / ‘street’ video. A behind the scenes look at your video shoot. Recording of a live show you perform. A video of you meeting a fan / competition winner for lunch or other activity. A video diary of how progress on your next single or album is doing. A ‘share this page to win’ competition, where people Facebook like or Tweet a page to enter into your competition. A ‘best fan photo’ competition, where fans pose as something related to you. A ‘best fan musician’ competition, where the winner gets to do a track with you. Photographs of you with fans. Photos of your studio sessions. Photos of you either doing fun things, cool things, or ‘authentic things’ (depending on the image you’re trying to portray). If your fanbase also largely has a love for something else related to you, pictures including that. So for example, if your fanbase is also into skateboarding, you’ll want pictures with skateboards and skateboarders. An advance look at your album or single cover. Streams of your new song. A clip of a forthcoming song on your album. A collection of song clips mixed together to showcase a project that’s coming soon. A countdown of your top 5 songs voted by you. A poll to see what your fan’s favorite songs are. A countdown of the above favorite songs chosen by your fans. Your view on an important issue revolving around your genre of music. Content marketing can be a very powerful tool for building up more loyal fans and getting fans involved in your music career. I suggest you put out at least 3 pieces of content a week, but if you can, even more. Just make sure the quality of things don’t drop, as if you’re not going to put out good content, you’re better off lowering your posts to a few good ones a week. Have you got any more ideas for content marketing? If so, feel free to leave them in the comments below.